pikalaina on EnderCast Episode #37 – Ender's Game for Sale – SOLD! mamba3 on EnderCast Episode #37 – Ender's Game for Sale – SOLD! Get your documents written perfectly on EnderCast Episode #37 – Ender's Game for Sale – SOLD! Best Writing Service on EnderCast Episode #37 – Ender's Game for Sale – SOLD! We also have a pre-recorded edition of Pop Quiz, Fart Eater for you guys to play along with! Our thanks to Jeannie for coming on and giving it a shot! We meant to also talk about those poster drafts and set visit reports and some other things, but for some reason our brains just weren’t working right and we forgot. We’ll get to it next week! Whoohoo, finally got to listen to it. Pity it’s so short. But on the plus side – I got all the questions right! I really don’t envy you the camping experience. But it’s gonna be so cool to meet other fans. I’ve seen so many announcements for fan meet-ups online by now. Have you decided whether or not to organize one yet? 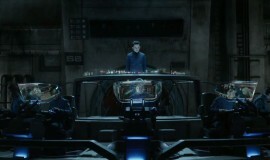 Co-host Kelly Severs is the founder of the Ender's Game fansite Ender News. Co-host Crystal Watanabe is the founder of the Ender's Game fansite EnderWiggin.net. Follow us on the internets! Yeah, we're new, so that's all there is. © 2019 EnderCast. All Rights Reserved.